Disc check can be removed by copying remaining files manually and editing the config files to point to the installation folder. 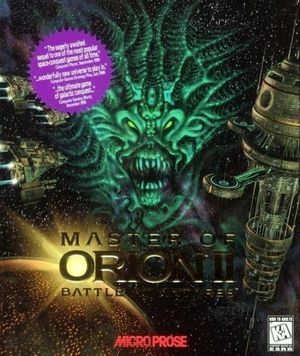 Also includes Master of Orion. Pre-packaged with DOSBox. Packaged with Master of Orion. Later updates of the game included a Windows 95 version of the executable, called Orion95.exe. This version was highly unoptimized though, particularly laggy when playing multiplayer games. Many don't consider this a true Windows version because of this. The latest official patch is version 1.31, which can be found here. There is also an unofficial 1.50.14 patch (as of April 5, 2019) here (includes a windows-based launcher and optional mods). An older fan patch, 1.40, can be found here in-case 1.50 has something you don't like. Also note that the digital versions have 1.40 pre-installed, info for reverting which back to 1.31 can be found here. Additional patches/mods (possibly obsolete) can be found here, here, here and here. A reversed engineered source port is available. Copy dplayx.dll and paste it into the game installation folder. 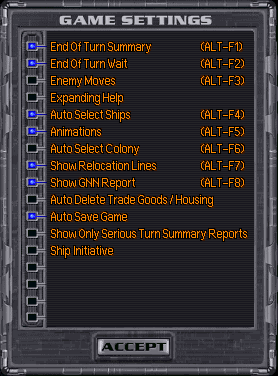 Right click on the ORION95.EXE file and select "Properties". Go to the "Compatibility" tab and enable Compatibility Mode (set it to "Windows 98 / Windows ME"). Also check 256-color and 640x480 resolution. 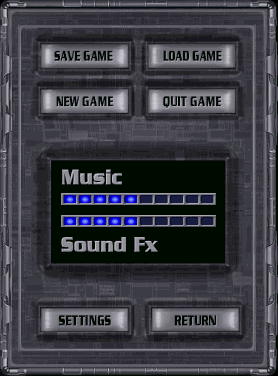 Run the ORION95.EXE file to play the game. See Rainbow color problems in older games. Download this (Windows 2000) or this (XP and later). SVGA A VESA wrapper for the LOAD VESA.COM error can be found here. A MoO2 total conversion for Distant World: Legends is also available here.